Something many people might not know about me is that I grew up on a farm. Yup, that’s right, I’m a country girl and I kick off those shoes as soon as I come through the door. Thus I was eating what was grown or raised on the farm. Back in the 1970s, we didn’t talk so much about eating healthy like we do today, but certainly, everything that I was eating was organic, coming straight from my grandfather’s farm or our gardens. The eggs were fresh, the meat and poultry came from their stock, and the vegetables were so fresh, crisp and delicious. We ate lots of vegetables and salads. I mean lots! After watching documentaries, first inspired by our then-10-year old daughter, (“Forks Over Knives,” “Plant Pure Nation,” “Cowspiracy,” “Live and Let Live,” “Species-ism”) on how cattle and poultry are raised in this country and being more educated about greenhouse gases, we started to eat less meat. This was a pretty easy transition for my husband, daughter, and me back in 2013, but there were still a few challenges along the way. One time I recall was when my husband was hospitalized for injuries from a very serious fall he had taken (maybe because he wasn’t listening to his wife when she said he should get down before he falls, yikes!). He was in critical care, but he really wanted to stick to his vegan lifestyle, (maybe it was the morphine talking). The menu options at the hospital were limited, so I ended up walking several blocks through questionable neighborhoods just to find a smoothie place. I didn’t realize being vegan could potentially cost you your life. Just kidding, thankfully, but that’s what I call real love. Another big help was recipe books, stocking the fridge and cabinets with healthy eats, and purging other unhealthy options from the pantry. Today we are mostly vegetarian but will occasionally eat a piece of fish. My son eats more vegetarian than he realizes and is still eating meat. I still have to cook two dinners each night, but overall my family is eating healthier and living a vegetarian/vegan lifestyle. List your top 3-5 favorite vegetables. Ask your spouse/partner and children for their favorites as well. 3. Legumes (beans): black, great northern, all kinds of beans, we love them all! Write down some of your family’s favorite recipes. For us, it was lasagna, pasta dishes, and soups/stews. 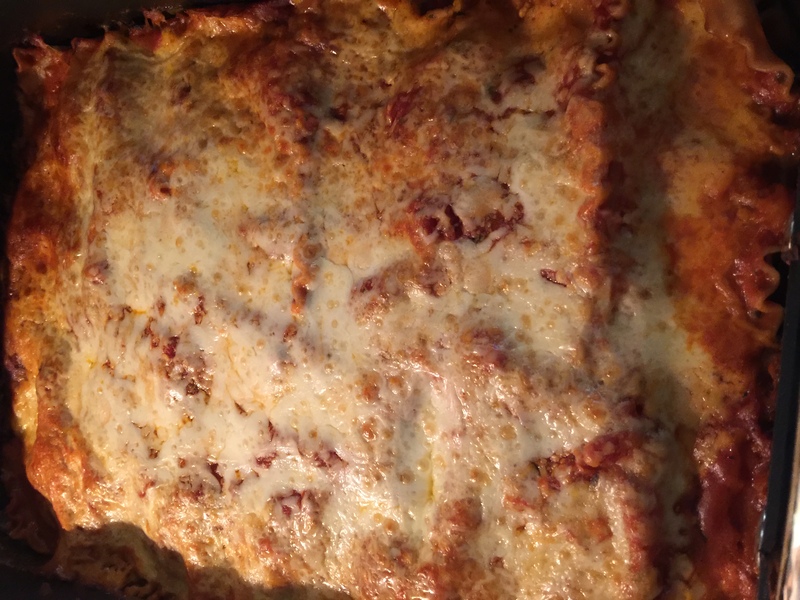 Vegetable lasagna is a family favorite. Then check out cooking sites online or cookbooks to find recipes. Two of my favorite cookbooks are “Raw. Vegan. Not Gross” and “PlantPure Nation.” Look for similar recipes that line up your favorite vegetables and your favorite recipes. We were easily able to take my lasagna recipe and adapt it by taking out the sausage/beef and adding in bell peppers, yellow squash and zucchini (sliced thin) and spinach. Thankfully, I am not afraid of cooking so I just experimented with recipes until I got it right. Now we eat black bean and sweet potato burgers instead of hamburgers. 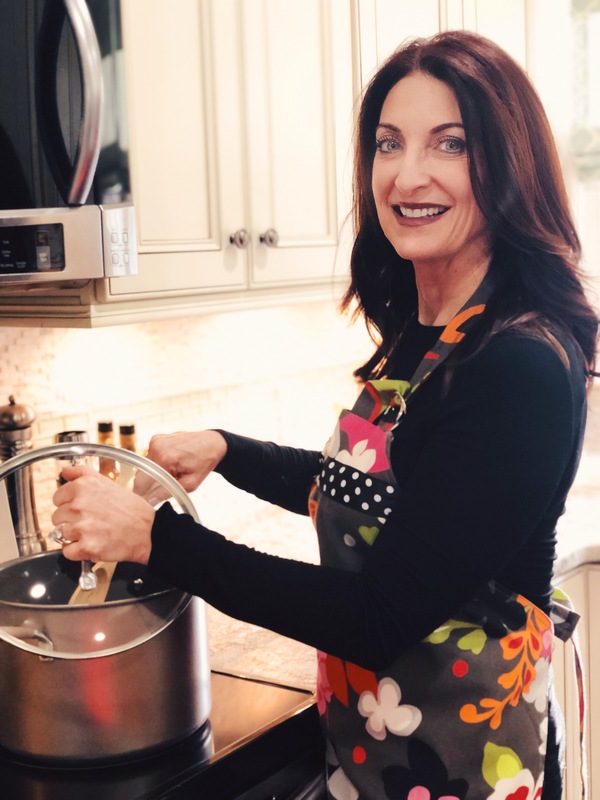 For the winter, there are so many soups and stews to put in the crockpot and serve on a cold night that we never run out of amazing options. Google for “best vegan/vegetarian dishes;” this will keep you engaged for hours. Don’t be afraid to make the switch to being a vegetarian, pescatarian (a person who doesn’t eat meat but will eat fish) or veganism, or whatever healthy options you want to make with your family this year. The health benefits are substantial, including reduced inflammation, increased energy, and glowing is the icing on the cake! I’d love to hear about your journey so let me know how you are progressing. 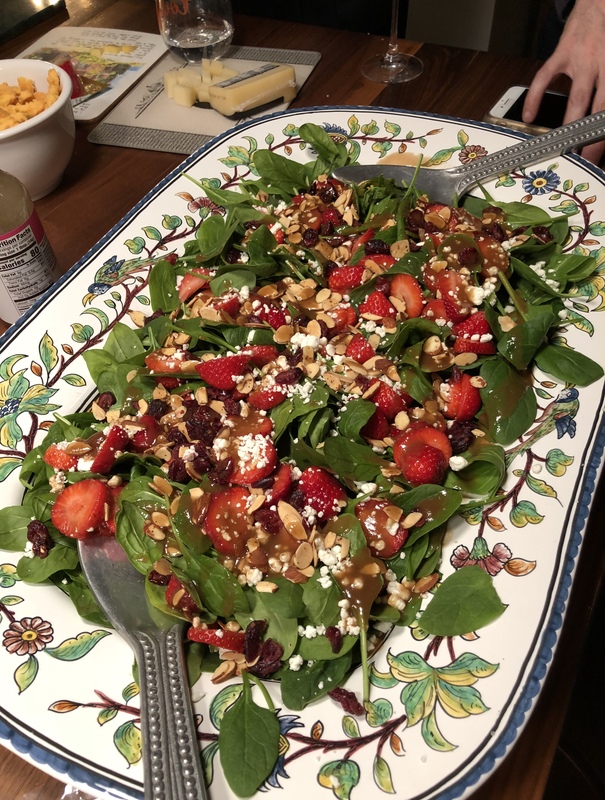 A spinach salad with nuts, strawberries and dried cranberries is another family favorite.